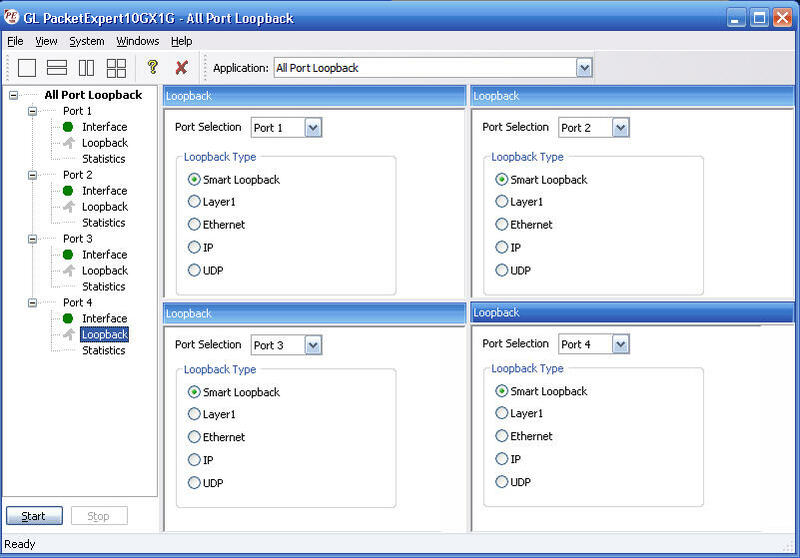 PacketExpert™ has all ports/2 ports Loopback capability. PacketExpert™ supports Layer-wise Loopback as well as Smart Loopback. On PacketExpert™ 10GX platform Loopback capability is supported on all 1G ports (1G – Port#1, Port#2, Port#3, Port#4) as well, along with support on two 10G ports (10G- Port#1, Port#2). Smart Loopback - Analyses incoming traffic, automatically detects and swaps Source and Destination MAC, IP, and UDP addresses before sending back the packet. Loopback helps in easy test setup, especially in end-to-end testing, when the other end is in a remote place. 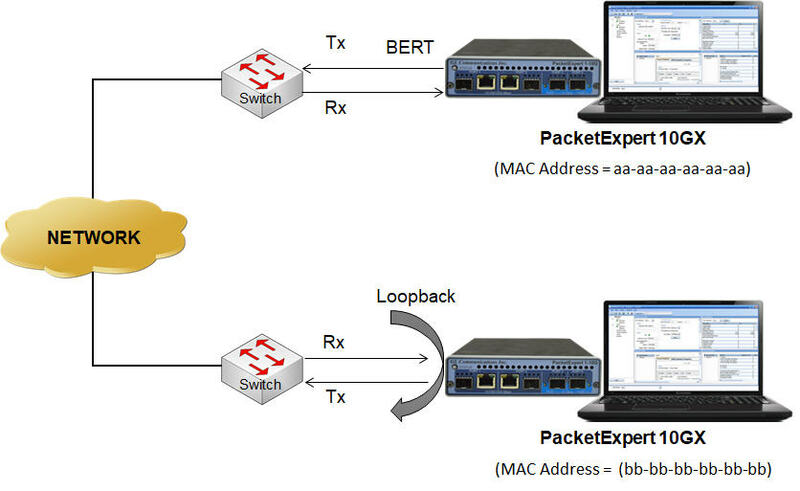 In such cases, one PacketExpert™ can be put in constant Loopback at the remote end, and BERT tests can be started / stopped anytime at the local end. Detailed statistics per port are provided. 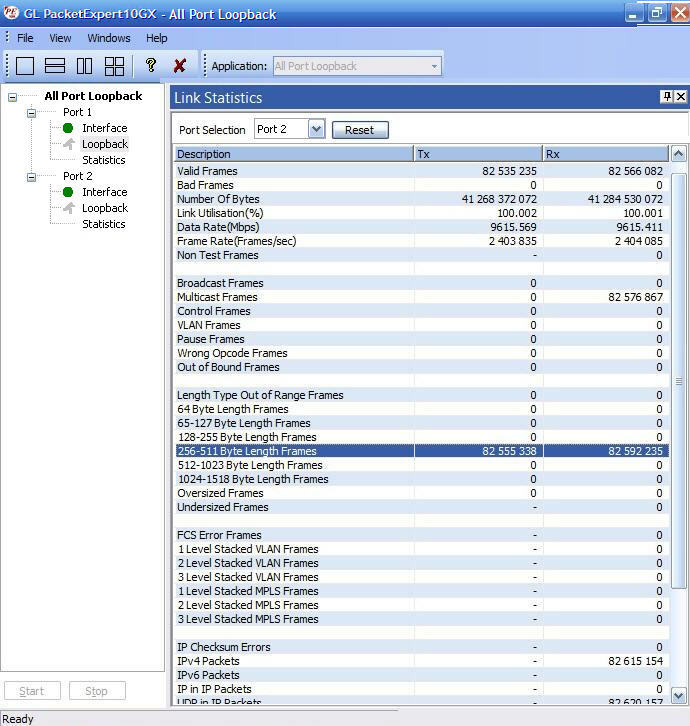 In addition to statistics like Frame Count, Frame Rate, Link Utilization (Layer1 line rate in %), Data Rate (Layer 2 data rate in Mbps), etc., statistics are provided based on various categories like Frame Type (Broadcast, Multicast, VLAN), Frame Lengths (64, 65-127, 1024-1518, Oversized, Undersized), Protocol Type (IPv4, IPv6, UDP, TCP, ICMP, IGRP etc. ).